Passat TDI Picture Gallery Do you have a Passat TDI? If so write a message here describing it and insert a picture if you have one. If you don't have one on the computer, email me and I'll give you my address and I'll scan it for you. If you need web space for it, email me as well. Please make a short yet descriptive title for your vehicle. 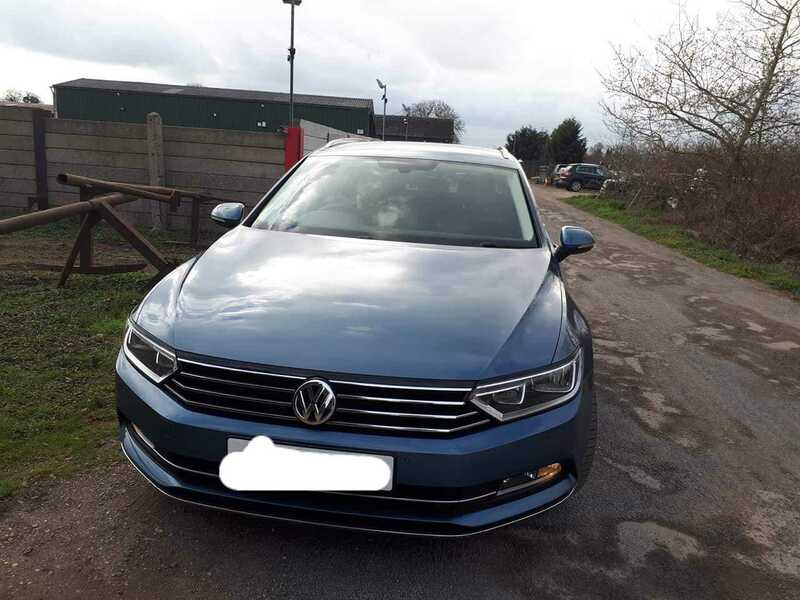 I just travelled from Ireland to England about three weeks back to buy myself a 2016 Passat GT 190PS and save myself a fortune in the process. She's nicely specced, missing only really parking assist and LED lights, larger screen and keyles entry most every other toy is on her. ODO was at 115k miles when bought, the car was put through MOT every year as it was a chauffeur limo from airport. Very well looked after all servive miletstones bang on. 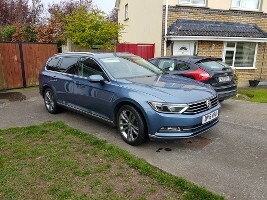 My previous motor was an 04 passat 130PS, which I liked an awful lot until the repair bills started to hold me to ransom. Last edited by EoinMag; March 29th, 2019 at 05:11. Cleaned, polished and tyres waxed all by hand. Last edited by EoinMag; April 5th, 2019 at 00:26. It looks great. Still wish we could get them on this side of the Atlantic. This one, being new generation, has so many more nice bells and whistles, I hope to get many years of motoring out of her. She also looks the part. Which one is it you can't get in US? GT or the 190ps machine? Neither of them. 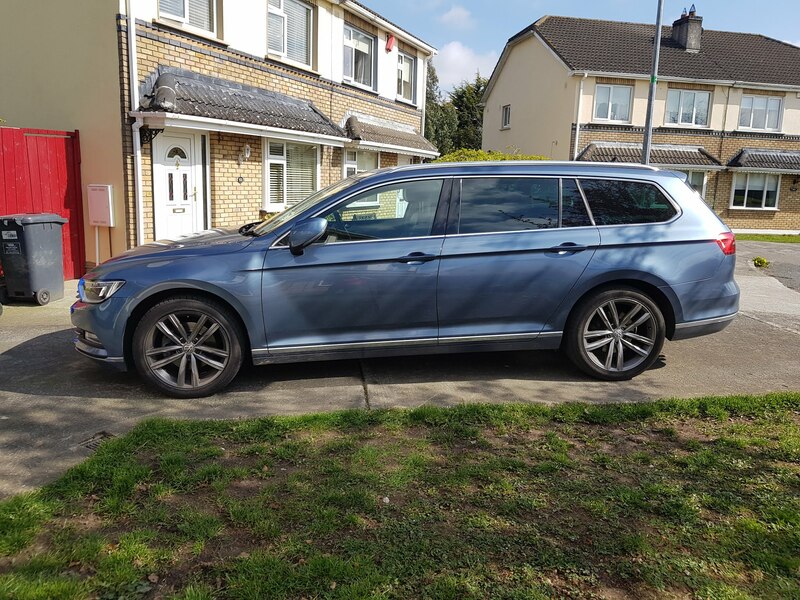 We don't get an Estate version of our post B6 car, also known as the NMS Passat. Saloons are all we get. There was a GT in the gas model, but not so with the TDI. Ours is rated for 140HP, except the last year, 2015, it was rated for 150HP. The Estate version is what I really wish we had, but our market doesn't support it as of now. Last edited by goodmonkey; April 3rd, 2019 at 16:50. 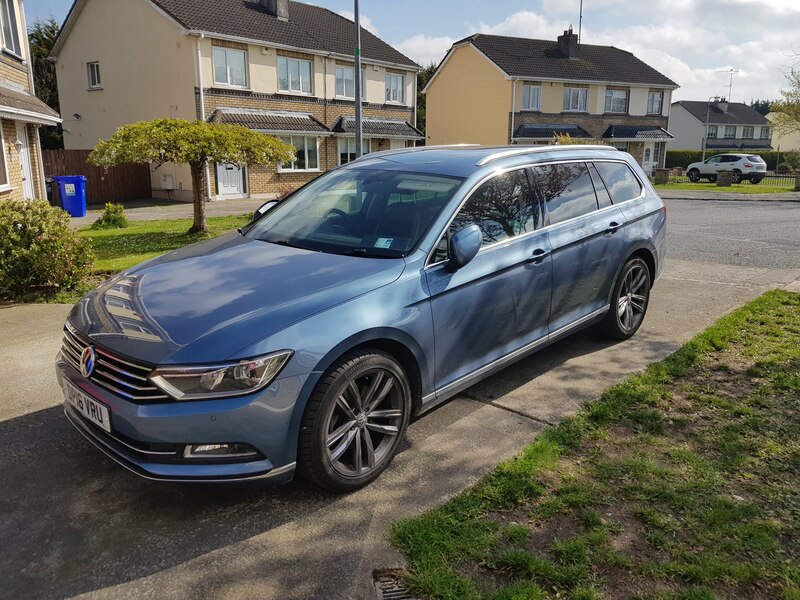 That's a shame, it looks better as an estate than it does as a saloon, and it's a super family car. I presume then that anyone hitting 190 with these cars stateside is self-tuning, the engine has to be good up to about 200-210 before you change to the 240PS model which I believe is not the same engine at all. So, I'm driving the car almost two months now. I have to say, it's a joy to drive, it has all the power I need and more. It is comfortable like a limo and has features out he kazoo (chilled glove compartment anyone?). I am very very happy with my purchase and rue the day when the diesel engine goes away and I change to electricity as driving freedom will go with speed limited engines and auto driving taking over. This could be the last generation of TDI's really before it all goes. Pity you guys can't get this model, it's a beauty with better fuel consumption than my old 1.9.